Atlas Nitrile Touch Gloves fit like a second skin! A comfortable, well fitting pair of gloves can be one of your best tools for tackling those tough outdoor projects. Atlas gloves fit the bill! All Atlas garden gloves have seamless knit liners - no lumps or seams to rub and irritate hands. These sure-gripping gloves are uniquely flexible, offering amazing dexterity for the finer side of gardening without compromising durability. Whether you've got a jungle to tame or delicate seedlings to plant, Atlas offers gloves to keep your hands comfortable and make your job easier. Atlas Gloves are tried and true favorites of both professional and home gardeners. These lightweight nylon knit gloves fit like a second skin. Tougher than rubber, the nitrile coating protects palms and fingertips from the hazards of serious gardening. These ultra thin gloves let you feel what you're doing, weeding, thinning, pruning, even picking up individual seeds! Atlas Nitrile Touch gloves are available in six assorted colors: Green, Purple, Red, Yellow, Orange and Blue. These gloves stand up to repeated machine washings, and dry quickly. Save $$ when you buy Atlas Nitrile Touch Gloves by the 6 or 12 pair Pack! How do I know what size gloves to order? 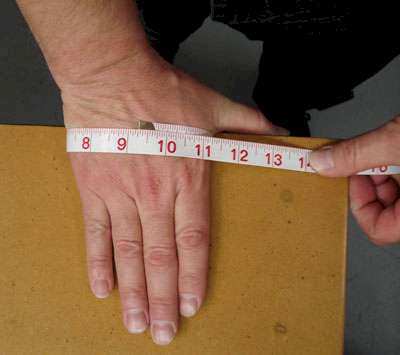 A note about women’s glove sizes: Generally speaking, a ladies glove size is one size smaller than a corresponding men’s size (men’s medium equals a ladies large), but ladies gloves are cut longer with more slender fingers.